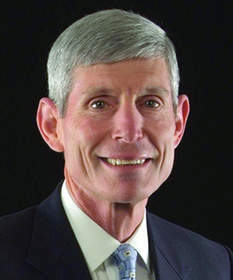 MANASSAS, VA--(Marketwired - Apr 18, 2013) - Aurora Flight Sciences today announced that General Norton A. Schwartz, retired Air Force Chief of Staff, has been elected to its Board of Directors. General Schwartz entered the Air Force Academy in 1969 and retired as the 19th Chief of Staff of the United States Air Force in 2012 in a career spanning over 43 years. General Schwartz is an accomplished aviator with over 4400 flight hours. He participated in the 1975 airlift evacuation of Saigon, and served as Chief of Staff of the Joint Special Operations Task Force for Northern Iraq in operations Desert Shield and Desert Storm in 1991. He served as Commander of the Special Operations Command-Pacific, as well as Alaskan Command, Alaskan North American Aerospace Defense Command Region, and the 11th Air Force. General Schwartz was promoted to four-star General in 2005 and commanded U.S. Transportation Command from 2005 to 2008. In his capacity as Air Force Chief of Staff from 2008 to 2012, he was a member of the Joint Chiefs of Staff that advised the Secretary of Defense, National Security Council and the President of the United States on national security issues. General Schwartz graduated from the U.S. Air Force Academy in 1973. He is an alumnus of the National War College, a member of the Council on Foreign Relations, and a 1994 Fellow of Massachusetts Institute of Technology's Seminar XXI. "As the U.S armed forces enter a period of transition, learning how to do more with less, General Schwartz brings a unique perspective that will be invaluable to Aurora," said Aurora Chairman and CEO John S. Langford. "We are honored and delighted that he has chosen to join us." Aurora Flight Sciences designs and builds aerospace vehicles for commercial and military applications. Aurora is headquartered in Manassas, VA and operates production facilities in Bridgeport, WV and Columbus, MS as well as a Research and Development Center in Cambridge, MA. To learn more about Aurora please visit our website at www.aurora.aero. General Norton Schwartz Joins Aurora Flight Sciences Board of Directors.